Details have been released on the evolving design for the £55.7 billion HS2 project which is set to pass through the Rotherham borough. In July 2017, the Secretary of State for Transport confirmed the preferred route for HS2 from Crewe to Manchester and from the West Midlands to Leeds (known as Phase 2b). A fast route to Leeds would go through the East of Rotherham and would affect Wales, Aston, Ulley, Brampton-en-le–Morthen, Thurcroft, Bramley, Ravenfield and Hooton Roberts. A new housing estate at Mexborough will also have to make way. A series of events are set to discuss the location of construction sites along the route, the infrastructure associated with the railway, and the realignment of major roads and public rights of way. It is part of HS2 Ltd's process of design development and environmental impact assessment before a hybrid Bill goes to Parliament next year. Entering the borough from the South, the route follows the M1 and passes to the west of Woodhall Services to Wales on a series of cuttings with embankments and a viaduct over Woodhall Pond. The new maps released by HS2 show a main construction compound on farmland at Woodhill, Wales to the rear of Cherry Tree Road. Main construction compounds act as strategic hubs for engineering, planning and construction staff, including areas for storing construction equipment and materials, maintenance and parking facilities and welfare facilities and accommodation for staff. A smaller satellite compound in the area is shown at Killamrsh Lane. These compounds are used as a base to manage specific works along a section of route and for local storage. Satellite compounds will also be used for work on the track, and for signal and communications systems following completion of the main works. Close to the M1, the route crosses School Road at Wales. 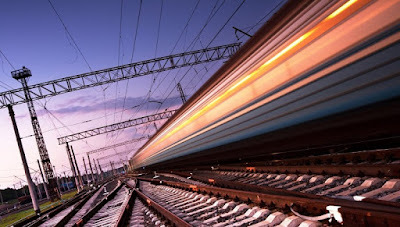 HS2 said that "under the current proposals it is likely that vehicular access over the M1 along School Road in Wales would be temporarily stopped so that key construction activities could take place. We are working on solutions to avoid and reduce the impacts of this." At Wales bar, where developer Network Space had hoped to extend its successful Vector 31 development, the route would continue through cuttings and an underground box before a 430m long, 27m high viaduct over a tributary of Pigeon Brook and floodplains at Aston. At Junction 31 of the M1, the maps show significant road realignments including stopping up Worksop Road either side of the new railway at Parklands Equestrian Centre and before Aston Park Fire Station. A brand new section of the road is proposed in Aston Conservation Area to run on fields between the Grade II listed Aston Hall Hotel and the cricket club to join the A57 Aston bypass close to Aston ponds. The bypass itself also requires realignment to go under the proposed HS2 viaduct. HS2 Ltd explains: "At Aston, the B6067 Worksop Road would be realigned to join the A57 for access to the M1 beneath the new railway. 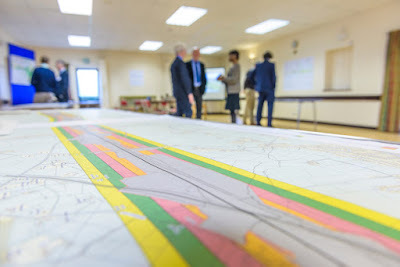 This arrangement would avoid the significant works and impacts to properties that would be required to divert the Worksop Road beneath the proposed HS2 route." In addition, satellite compounds are shown behind Vector 31, at Nickerwood farm and adjacent to Aston Hall Cricket Club. As it heads towards the junction of the M18, the HS2 route goes straight over one of the wind turbines at Penny Hill Wind Farm at Ulley. The route passes the M1/M18 junction on a series of long, high embankments and viaducts. Further satellite compounds are proposed at Penny Hill and within the triangle of land between the M1 and M18 motorways alongside an autotransformer feeder station, which is a piece of infrastructure needed to power the railway. At Morthern and Thurcroft, further road realignments are proposed. Morthen Road will be realigned to cross above the new railway and motorway to maintain access between Thurcroft and Wickersley. On farmland adjacent to the Nine Trees Trading Estate, a new roundabout and realigned road is shown which would link to Brampton Road close to the Consort Hotel. A main construction compound, smaller compound and electricity substation is shown on the famland adjacent to the new section of Morthern Road. Another satellite compound is show over the M1 at Kingsforth Lane. Heading north, works at Sandy Lane and Lidget Lane at Bramley, and Common Lane at Ravenfield would be required to enable the new railway to pass beneath them. The route runs next to houses and commercial property at Bramley before passing beneath the A631 at the Hellaby roundabout. A retained cut is proposed here and the motorway junction requires some realignment. HS2 Ltd said: "Work continues to reduce impacts on the community of Bramley. The current proposals avoid property demolitions here, although the green space between the M18 motorway and Broadlands will be required to build and operate the new railway. Public rights of way will be diverted to ensure that alternate provision is made." In this area, smaller compounds at Slacks Farm, on farmland behind HSL and the petrol station on Bawtry Road, Gorsefield Farm and Braithwell Common are shown. Heading northwards on an embankment to the east of the village of Hooton Roberts, the route then passes beneath the A630 Doncaster Road in a cutting. At Hill Top, a main construction compound is proposed. An information event has been scheduled by HS2 for Hellaby Hall Hotel on Tuesday June 12, at 2 – 8pm. Abandon HS2 and spend the billions on the NHS where it's needed , a much more worthwhile cause. Couldn't agree with you more! This has ruined our estate already and taken away the little quality of life we had, not to mention how it has affected our collateral in terms of being stuck with a house in a position that noone wants to entertain now we are driving a huge unnecessary railroad straight the way alongside it!! And these are the politicians we are supposed to put our blind faith in! Will.never get past Birmingham,if it even.gets there,I work in Railway industry,its cost is spiralling out of control,mark my words,it wont happen.